Moscow will continue the program of landscaping of streets, yards and parks. On December 6, held a meeting of the Moscow Government Presidium, during which the Mayor of Moscow Sergei Sobyanin said that in the capital for the last 6 years have planted about 4 million trees and shrubs. The mayor noticed the program will continue. According to Sergei Sobyanin, Moscow is one of the greenest cities in the world, but the program of landscaping should continue. “The program of landscaping of Moscow is being implemented by a number of different directions. The first is the replacement of outdated trees. Here it is necessary to approach with one hand, gently, on the other hand, in a timely manner. You know, just recently there was an accident – because of this old wood people got hurt,” said the mayor. Almost 3 thousand large trees were planted within the framework of the My Street program this year. They appeared on those streets on which the landing was long ago lost. “This is Tverskaya, the Garden Ring and now we want to restore trees and shrubs to make the city green,” said Sergei Sobyanin. Also the landscaping is carried out in the capital’s parks. Thousands of trees were planted in Luzhniki and Zaryadye this year. In addition, the city is working to restore the trees and gardens after natural disasters. He reminded that during the summer hurricane killed more than 6 thousand trees. All trees were restored. After trees reconstruction were conducted landscaping in streets and highways. 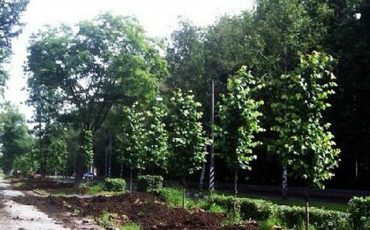 The head of the Ministry of Natural Resources and Environment of the city of Moscow Anton Kulbachevsky said that in the next year the Ministry plans to plant more than 40 thousand trees and 300 thousand shrubs. Landscaping will be carried out in the framework of the One Million Trees and My Street programs and the comprehensive improvement of the city. 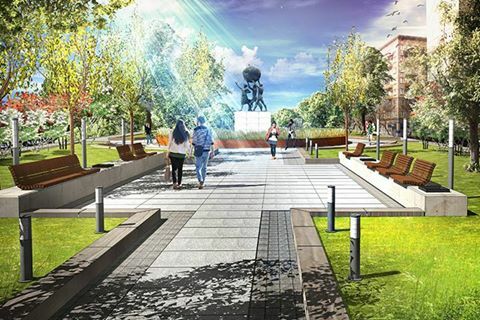 Let us recall that the largest program of landscaping in Moscow is called One Million Trees, whose main aim is to increase the number of green spaces in the courtyards. In the framework of this program were planted 79 thousand trees and 1.6 million shrubs. The programme reached almost 13 thousand, or more than 50% of all Moscow households.